Hello. I was a member here in 97 and I can't for the life of me remember what my username was. I was really young, and rarely posted, but I enjoyed reading posts -- and a few people (who I also can't remember) sent me some cool vhs tapes! 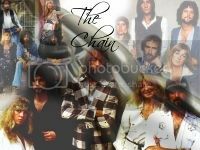 I'm most interested in Christine McVie, Bob Weston, Bob Welch and Danny Kirwan's music. I think I like the "Mystery to Me" record best. (Though that opinion changes with some regularity). More than I like any one band, I just really love rock and pop music from the 60's forward. There used to be so many music themed message boards with lots of lively discussion, etc. I miss them. Needless to say, I'm glad this board is still here and seeing regular activity. It will be fun talking with you all. Welcome back! And you have excellent taste in your band incarnations!!! Thanks! I've been dying to talk about those records with somebody!!! Welcome back Whippity, I'm a new and happy to be here and talk with you and other users. This is a great forum, with fantastic people! First of all, I'd like to apologize for my bad english (I try to improve every day!). My name is Laura and I'm a 29 years old italian girl who knew FM before, but started to listen to them only in 2009/2010. The first song I heard was "Little lies" and it's still my fav (I made also my ex girlfriend going mad with it at the time and now that we still are friends, I'm making her know other songs). My fav singer in the band is Christine, as you can figure from my nickname! She's like a Goddess to me: her voice, her beauty, her charisma.. totally wonderful, PERFECT in name and in fact! Since I'm a very 70-80's type of person (and proud of it! ), I don't fit so well into modern society and I always get along better with older people than people my own age, in love and in friendship. They understand and often share my interests, while young people today doesn't even know how to read a real book, to write without using text messages language, how to use a record player, the beauty of being free to take a paper and write with a real pen, instead of a computer, etc... Imagine if they know Fleetwood Mac! Thus, FM allow me to imagine a different kind of life, of world, of music and culture. A magical time, an easyer lifestyle that will never come back. My hobbies are graphics, photography, journalism, paranormal, travel, cooking, United States (specially LA and the whole California, where I wish I could live someday); I work as a publicist, but I'm still looking for a stable work. Since 2001/2002 I'm a webmaster and forum administrator, so I hope, even if I'm young and still inexperienced in FM, to be helpful because I like to create wallpapers, animated gif, avatars, banners, layout, photo montages, videos and everything can be used in a forum/site. "Where is the reason? Don't blame it on me, blame it on my wild heart!" Hi Blueletter, thank you very much! My Name ist Stefan and i'm from Germany and i'm a huge Fan of Stevie and Flettwood Mac. I'M in the mid 40 now to talk about my age. I think the Forum is amazing so thx for the ones who make it possible to looking for any news and stuff. Welcome to The Ledge! Have you ever seen FM when they performed in Germany? If so, we'd love to hear about it. My name is Holly and I'm a (struggling!) writer from London. Definitely should have been born earlier but a 70s girl at heart. Love reading all the stories and discussions on here and will try to contribute more and lurk less! Welcome! Now let's get this party started. Hi Holly .Welcome to the boards.Enjoy.There's alot of info on these boards.Feel free to ask questions.Have a ball. We welcome you with wide open arms. *wanders in* Hi, everyone. My name is Summer and while I've always liked Fleetwood Mac, one of Stevie's songs kind of grabbed me recently and wouldn't let go ("Gypsy"), during a very difficult time in my life, and slowly but surely, I've found myself a little obsessed. My family and friends are sick of hearing about it! I'm 22, so I missed seeing the band at their height, and have loved lurking around here recently and relishing the tidbits you all share.